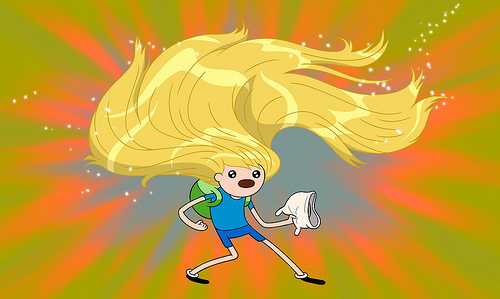 finn's hair. . Wallpaper and background images in the Adventure Time With Finn and Jake club tagged: adventure time cartoon hair. That was the best episode in the world! I'm a new fan, and don't know much yet, but this is pretty awesome! can't wait to see the episode! this is one of the best moments in Adventure Time. How could that hat hold SO MUCH hair? !